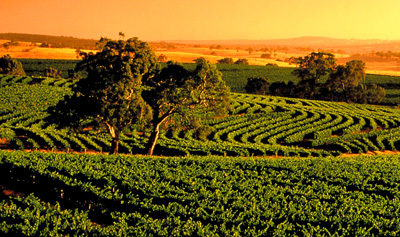 Hahndorf Resort is nestled on 32 acres of rolling hills and bushland, with unparalleled views of the magnificent Adelaide Hills. This multi-award-winning development feels like a world away, yet offers every convenience at your fingertips. 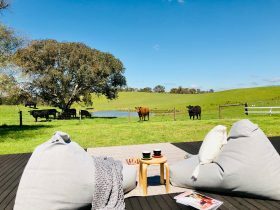 Only 20 minutes from Adelaide, and within walking distance to Hahndorf’s Main Street, this picturesque retreat offers the perfect location to explore the region, enjoy the resort’s many fun activities or just relax. The Resort consists of gentle hills, three lakes, natural bush, abundant wildlife and exceptional views. 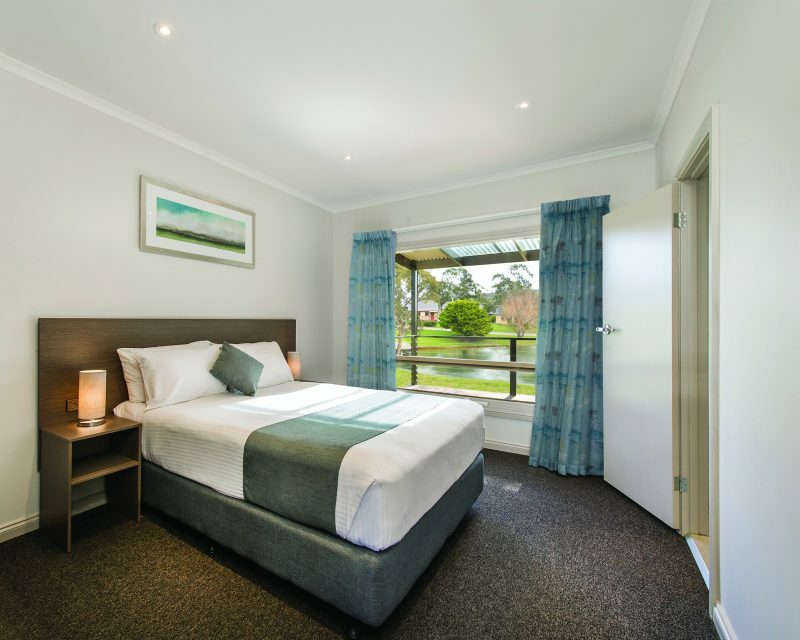 Hahndorf Resort offers diverse contemporary four star accommodation – motel style, family cottages/units, resort houses and limited mobility (self-contained) units – accommodation includes kitchenettes, most have balconies – some with lake views. 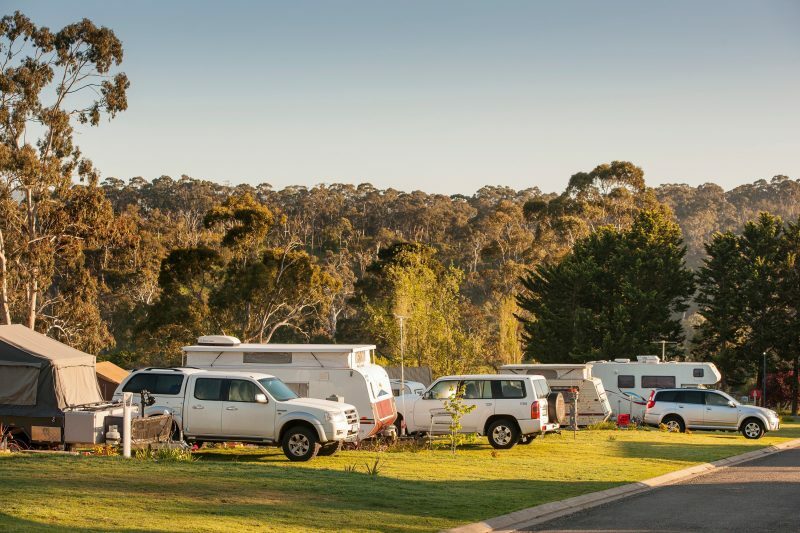 With exceptional caravan and camping facilities, Three Gums Bistro and the new state-of-the-art multi-function Adelaide Hills Convention Centre, Hahndorf Resort is sure to have something to suit your needs. 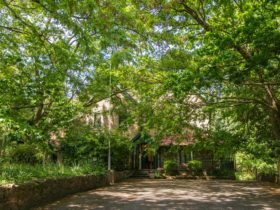 Activities and facilities include a pool, jumping cushion, mini golf course, games room, giant chess, volleyball court, small children’s playground, modern camp kitchen and barbecues amongst rolling green lawns. 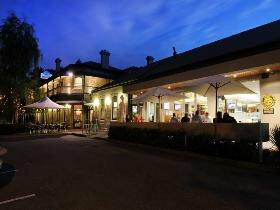 Diverse, flexible, quality facilities and exceptional customer service make the Hahndorf Resort Tourist Park a one stop shop, providing the ultimate holiday or business resort venue. 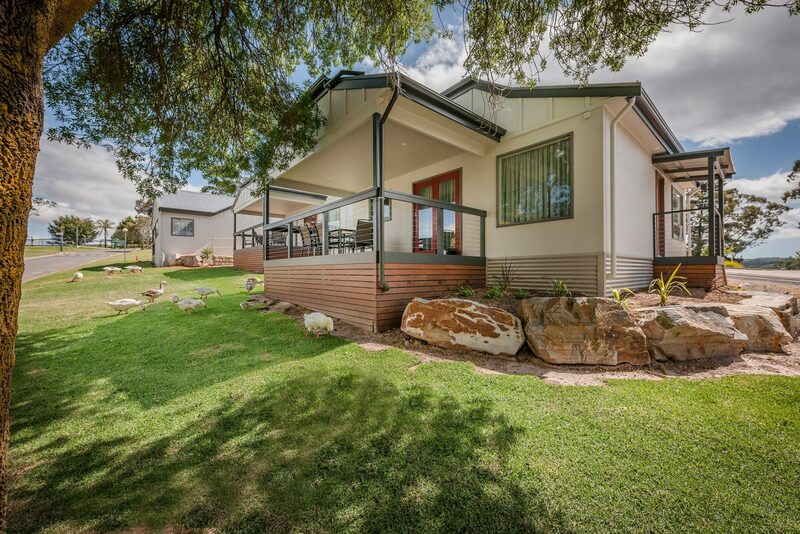 Contemporary open plan Cottages accommodating up to 3 guests with either a queen bed or queen and single bed. Family Cottage for up to 6 people. This cottage is open plan with a second bedroom and includes a cook-top & verandah. Choose from a 2 Bedroom Cottage containing 1 queen bed and 2 sets of bunk beds or a 3 Bedroom Cottage containing 2 queen beds (in separate bedrooms) and 2 sets of bunk beds in a 3rd bedroom. Both cottages contain a full kitchen, separate lounge room/living area and beautiful balcony with outdoor setting overlooking the lake. The 3 Bedroom Cottage boasts 2 bathrooms. These modern units boast a panoramic lake view, and provide a separate living area and large furnished deck. Modern Two bedroom unit containing two Queen beds, with a two person corner spa, separate shower and lovely rural outlook. 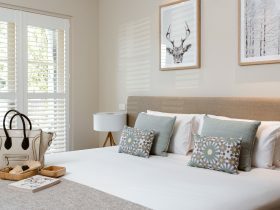 Contemporary Two Bedroom Units are suitable for families, with either a queen bed and two single beds, or 2 queen beds, boasting an outdoor seating area with rural views & plenty of space to relax and unwind. We offer a choice of 2 modern Three Bedroom House’s that sleep up to 8-10 guests. Both the Resort House and Lakeview House offers new bathrooms, spacious lounge room/living areas with full kitchen. 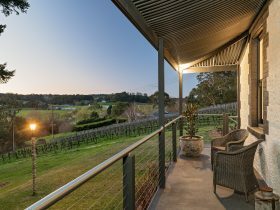 Both houses boast beautiful outdoor settings with rural views. Plenty of space to roam.